Welcome to Bob's Sewer Service! As a family owned and operated business, in the Wichita, Derby, Mulvane and surrounding area for the past 20 years. 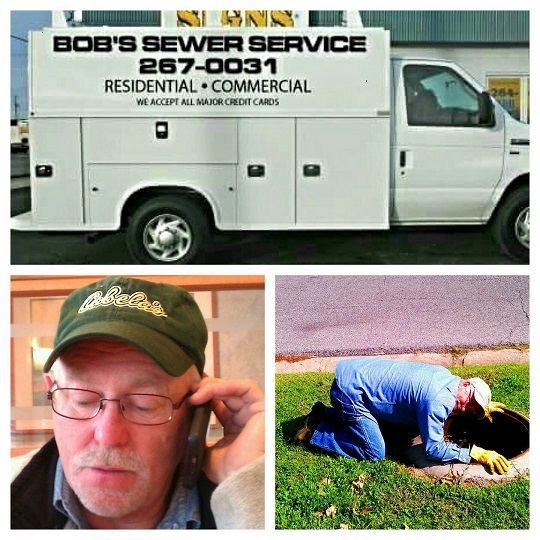 Bob's Sewer Service will treat your call with genuine care and attention. We know the importance of personalized work and provide, quick and courteous service. Because we want our customers to call again for all their sewer and drain needs. We take care of most all residential and commercial problems. When the tree roots start looking for water and invade your sewer line we have the knowledge and the know how to take care of the problem. If you over load the garbage disposal and don't know what to do just call us. And when your washer line backs up while your doing laundry we can help you there also. We have worked in many types of business from restaurants to medicial buildings, and everything between.